Your Lie in April undoubtedly became one of my favourite things when the anime aired last year and so I’ve ended up starting to collect the manga both out of curiosity and the simple fact that I want to support the series as much as possible. For such a musically driven show I was always wondering how the original source managed without the music, but three volumes in and I’m still as deeply in love with Your Lie in April as I was watching the anime. 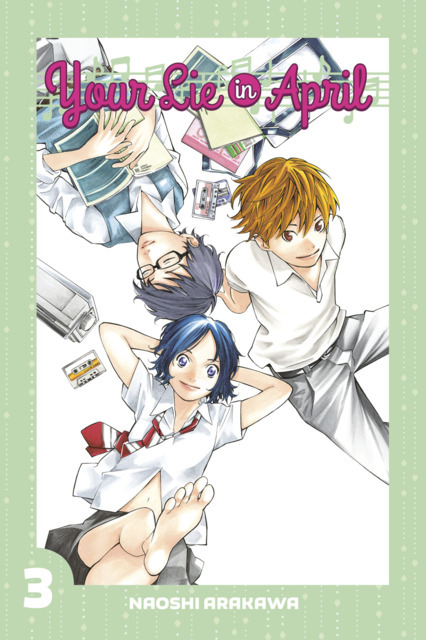 This entry was posted in Manga, Manga Reviews, Reviews and tagged Kodansha, Kodansha Comics, Kodansha USA, Manga, Review, Your Lie in April on 5th September 2015 by Demelza Ward. Kodansha USA has announced at their Comic-Con panel yesterday that they’ve licensed two new manga series. The titles in question are Yamada-kun and the Seven Witches and Let’s Dance a Wiltz. This entry was posted in Manga, Manga News, News and tagged Crunchyroll, Kodansha, Kodansha USA, Let's Dance a Wiltz, Manga, News, Yamada-kun and the Seven Witches on 27th July 2014 by Demelza Ward.